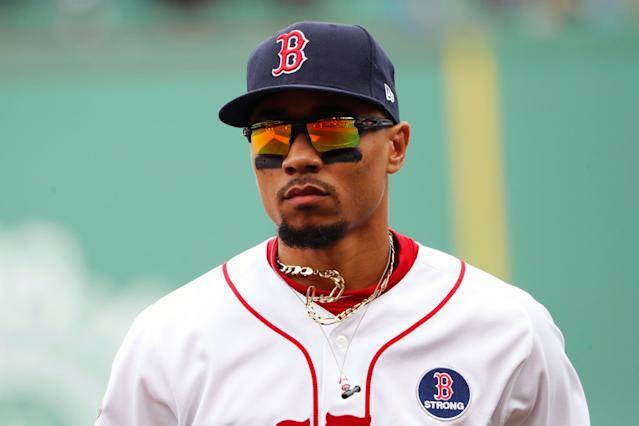 With the performance, Betts’ slash line dropped to .222/.324/.413 in 74 plate appearances. Last season, Betts hit .346/.438/.640, with 32 home runs. Betts said he was taking “full ownership” of his struggles to open the season. He added that he’s not exactly sure why he hasn’t been able to get on track thus far, according to Browne. It shouldn’t be long before Betts figures things out. He’s too talented to struggle for long, and at 26 there’s no reason to believe he’s experiencing a massive skills decline. While Betts’ advanced stats aren’t as strong as they were last season, he’s still hitting the ball hard and putting the barrel on the ball, according to BaseballSavant.com. The Red Sox are hoping Betts can get things turned around soon. At 6-11, the team has been a major disappointment to open the season. If the Red Sox and Betts are going to start living up to expectations, it would be a good time to start. The team will begin a series with the rival New York Yankees on Tuesday. Taking two games from the Yankees won’t immediately fix things, but it should give Red Sox fans a reason for optimism after the team has disappointed early.